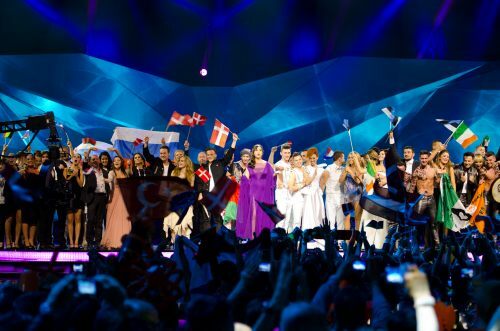 Posted on May 28, 2013, in Eurovision 2013 and tagged ESC, Eurovision 2013, Eurovision numbers, losers, Malmo, points, qualifiers, rankings, results, semi finals, voting, winners. Bookmark the permalink. 20 Comments. I wanted to vote for the Netherlands, but I couldn’t find them on your list, so I voted for Norway. It also starts with an N at least. That is ‘her’. I am aware she is a woman! The Aussie vote looks pretty balanced, actually, except maybe an aversion to sappy or dark ballads. Makes me wonder what kiwis would go for — it would be fun to make comparisons (and confirm stereotypes). 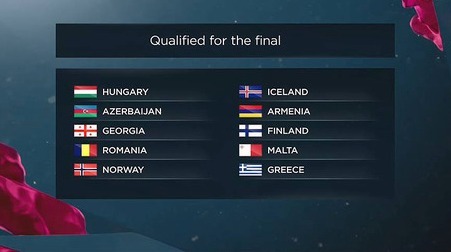 I’d like to think Anouk would would rank well here (and of course, Montenegro would have qualified). That’s a tough poll. After much internal debate I’m going with Greece — So exhuberant and authentic, yet totally in control and professional. Commanding the stage with nothing but camerawork and kilts. Norway is a very close second. Perhaps the version 1 cocoon-dress would’ve clinched it. Ukraine should’ve used livelier lighting, and warmer colours. Denmark was very gold, but the performance never lit up for me. Loved Azer’s id-in-a-box, and Farid’s grey outfit was well-chosen. Moldova had too many elements that didn’t quite gel. If NZ would have gotten Montenegro into the final, then I say the actual vote gets handed to you next year! With a little bit for us too, of course. You have to commend Greece for doing a lot with a little. That’s assuming they threw as little cash as possible at this entry…you’d think so after last year when they got in a bit of trouble for spending too much on Eleftheria (apparently not on material for her “dress” though). I agree with you about Denmark, but I feel it was a good overall package. They are leading the poll at the moment, darn them. I used up my vote on Azerbaijan. I feel like Farid + the song + the staging + everything else had what ‘Running Scared’ and Ell & Nikki didn’t. The extra consideration and oomph that makes a decent winner. Like I said, tough poll — good arguments to be made all around. All I could think during his performance was ‘man, THIS is a winning performance from Azerbaijan. Don’t give me that ‘Running Scared’ crap.’ Consider yourself partially redeemed, AZ. Hi Jaz! Good to hear that your post-eurovision depression is over. So is mine..ish. But I’m trying to ignore the split results and all the voting scandal and it’s working well. Instead I decided to re-watch and rank old editions and rant about how some entries in the 70’s were so dreadfully underrated 😛 I don’t get the new system to be honest. I voted! Not going to tell you for who, but I’m sure it’s pretty obvious 😛 I had a hard time choosing between 3 of the choices though. The new system is so confusing. Every time I try and make sense of it my brain starts hurting like it used to in high school maths. Blerrgh. 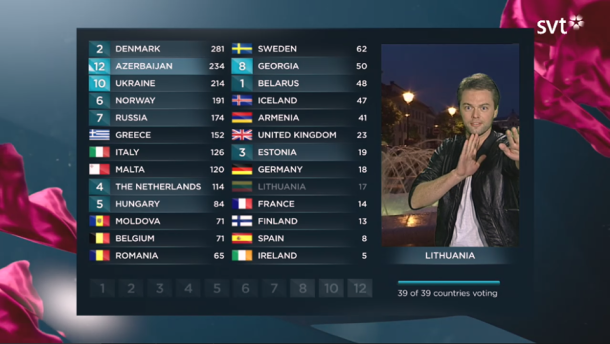 Basically all I know is that Sweden ranked third on average with the juries, and that makes me happy! I think we get a lot of one-timer viewers voting in Australia, and they like ridiculous things, a la Cezar. I remember a looooot of tweets coming onscreen about the ‘camp Dracula’. I’m just glad we weren’t in charge of the real thing in this instance. Well, somebody has to support Romania…Right? I’m happy CEZAR did so well in Australia and he did very well with televoters in Europe too. While for some was the WTF factor, many really liked his voice and interpretation. I am surprised by all these negative comments…But we all have different tastes, so we should accept each other. I don’t live in Europe & Australia, so did not vote for anybody…. You’re right. Everybody is entitled to their own opinion. Cezar definitely had the WTF factor, but he’s also talented and I did like his song…I just personally couldn’t take the whole package seriously! But in the end he didn’t do too badly for himself, and he was probably the most talked-about act of 2013. I’m on my phone right now getting my hair cut but I just have to say that there’s an Aussie family about 10 feet away from me! In West TX! Thought of you, not in a creepy way, just in an odd-happenings sort of way. Also, I’m getting Robin Stjernberg’s haircut! Is that enough if a Eurovision connection for this comment? Excited. I am also weirdly jealous that you got ‘The Stjernberg’ done!! How did it turn out? I’d go and get an ‘Aliona’ but I’m pretty sure I’d be laughed at. And I’d be spending my life savings on hairspray to keep it in shape. I agree about Montenegro and San Marino being robbed, but for moi Switzerland was too boring. In terms of performance, anyway. I still like the song but it didn’t totally hold up by the time Eurovision rolled around. Switzerland just lost a lot of its luster live, for me. They fell out of my top five and are number 10 right now. I’m glad that they at least got fifth in the televote (!) so they have some hope for next year, well, this year, since they’ll obviously pick in December again. I’m worse since I haven’t been online nearly at all since the contest ended! I’ll have to write a blog post about the crazy two weeks I’ve been enveloped in since then. Seven shopping centres? Are you kidding? I am THERE. I’m guessing you changed your avatar since the haircut? If not, remind me never to go your hair salon. Oh, and I was thinking of ESC Aliona, with NF Aliona for special occasions. I have changed it, simply because I’m just not that photogenic. That and I’m still practicing how to stand my hair up. Also, the octopus toy is really sweet. I’ve decided to re-rank the entries using a special system, so my top 10 might change, but I’m NOT making new backgrounds. You will be able to get Belgium, Estonia, France, Germany, Italy, Malta, Montenegro, Spain, Sweden and Switzerland. 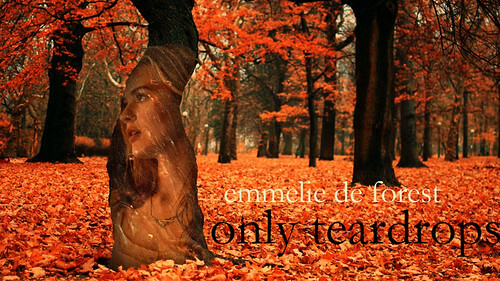 Also, I made one for Denmark since she won. I can send you one right now, if you’d like. I’m keen to see these wallpapers…particularly Italy’s because I would love nothing more than to drool over Marco Mengoni instead of doing anything productive. And Sweden’s because Robin is adorbs, etc etc. Have you heard the preview of his new album?? It’s on the ESC Insight Tumblr and elsewhere. I really like a few of the songs that were also on his last EP, and a lot of the others should be growers. The whole thing has a ‘male Kelly Clarkson’ vibe about it. I’m getting better, I swear!